Bob Batchelor is a cultural historian and biographer. He writes about the ideas and issues that help shape the contemporary world. Bob's new book The Bourbon King: The Life and Crimes of George Remus, Prohibition’s Evil Genius tells the amazing story of George Remus, the mastermind who cracked the Prohibition system, turned the Volstead Act on its ear, and grew a bourbon empire that stretched nationwide. Remus became one of the world's richest criminal masterminds and was rumored to have served as an inspiration for F. Scott Fitzgerald’s The Great Gatsby. When he murdered his wife Imogene in cold blood, the resulting trial caused a national sensation, covered by media outlets around the world. The Bourbon King will be published by Diversion Books. Readers who enjoy true crime, history, and biography will love The Bourbon King. Bob is a noted expert on American culture and history. Viewers recently saw him as an on-air commentator for the National Geographic Channel's 10-part series "The '80s Greatest" and 10 episode "The '90s Greatest" series, produced by Nutopia. Bob's book, Stan Lee: The Man Behind Marvel examines the illustrious life of Marvel legend Stan Lee, one of America's most important creative icons. This first full biography of Stan Lee is an eye-opening look at a popular culture visionary. 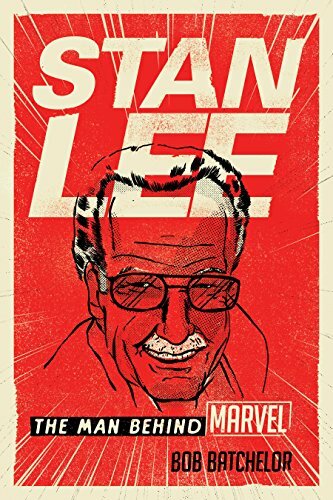 This book traces Lee's life -- from his Depression-era childhood to his years as a teen editor/writer and ultimately to his triumphs as the genius cocreator behind some of the most beloved characters in pop culture history, including Spider-Man, Iron Man, Hulk, the Avengers, and Thor.